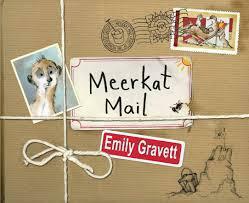 Sunny the meerkat lives with his enormous family in the Kalahari desert. They are all very close . . . so close, in fact, that one day Sunny decides he's had enough and packs his bags. He's off to visit his mongoose cousins. But from the watery world of the Marsh Mongoose to the nocturnal lifestyle of the Malagasy Mongoose, Sunny just doesn't fit in. And who's that shadowy figure who seems to be following him around? A brilliant picture book from the winner of the Kate Greenaway Medal.